As GATE results came out and M.Tech 2011 admissions started, students who did perform well must be heating up to knock out the GATE 2012. I am preparing a GATE 2012 preparation Guide on the similar grounds to GATE 2011 Preparation: A complete guide, do read the articles there they are quite helpful to start preparation. 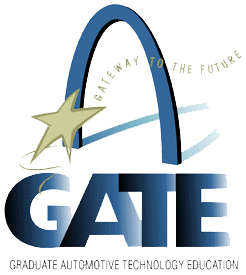 The advantage of preparing the guide for GATE preparation in 2011 was that it helped me to focus on collecting much information and organize it well for years to go. Especially the surveys related to GATE study material, GATE coaching centers across the nation are great help to many. The results of these surveys were compiled in GATE study material and GATE coaching centers in India. Here I try to present all necessary information for GATE 2012 aspirants and help them to stay focused till the end to crack the GATE. By which student can easily the GATE notification, important dates of submission and GATE examination. Please refer to detailed GATE 2012 notification. I will update the exact dates as soon as the official notification is released by the GATE 2012 organizing institute. Meanwhile you are waiting for GATE 2012 notification you can jump over to GATE 2012 syllabus, this is same as last year. Until there is no announcement of change of syllabus the GATE syllabus remains same.